If there is a “silver lining” in the timing of Hurricane Irene is that her mean arrival will occur on a weekend. Emergency officials continue to monitor Hurricane Irene, while making plans to ensure protection over the weekend. From a public safety perspective, it is to our advantage that the destructive and potentially deadly forces of Hurricane Irene may affect our area during the weekend as opposed to during the week. The timing will remove many concerns for first responders. A few days ago, a 5.9 magnitude earthquake struck the east coast on a weekday; and schools, businesses, retail stores, and government facilities were damaged and evacuated, which required some degree of attention from firefighters and paramedics. Gridlock developed on area roadways, and public transportation was limited. The Prince George’s County Fire/Emergency Medical Services (EMS) Department and associated public safety partners handled the unannounced earthquake exceptionally well, while handling thousands of calls for service from our citizens and residents. By comparison, the earthquake was not predicted, while Hurricane Irene has been monitored with predictions of “significant impact” to Prince George’s County. With Irene expected to arrive on a weekend, the Fire/EMS Department can remove the immediate concern for high population buildings such e.g. schools and office buildings, and focus their attention on other urgent matters. With warnings being broadcast well in advance, it is anticipated that the majority of our citizens and residents will heed our advice and stay safe indoors. Additional staffing, firefighters and paramedics, on weekends are high as a pool of personnel available for callback to duty is plentiful. Volunteer firefighters and EMTs tend to respond in high numbers to the call for assistance with staffing fire/EMS stations around the County. Emergency planners will also have additional time to assess the storm’s damage, and plan ahead for decisions that will need to be made for the upcoming week. The Prince George’s County Fire/EMS Department is fully aware of the potential of Hurricane Irene and are taking all precautions and preparations to stand ready. County Executive Rushern Baker has already demonstrated his ability to lead in these types of situations, having initiated two activations of the Emergency Operations Center for the Fire Storm of February 19, 2011, and the recent earthquake. Mr. Baker and his cabinet staff have received high marks for their ability to respond to the needs of our citizens and residents in times of crisis. Citizens and residents, however, need to take personal responsibility to prepare for this impending storm. To be perfectly clear, Hurricane Irene is a dangerous and potentially deadly storm that will have an impact on Prince George’s County—DO NOT WAIT TO PREPARE! Everyone needs to take steps now to remain safe. 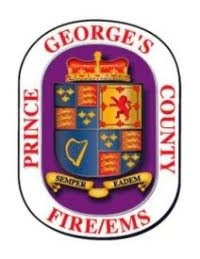 The men and women of your Prince George’s County Fire/EMS Department want you to Stay Informed – Stay Ready – Stay Safe. Take actions now to prepare yourself and your property for this impending storm. Residents of Prince George’s County can anticipate heavy rains, flooding and high winds, which will equate to power outages and unsafe conditions outside. Remove items outside of your home that could become “projectiles” in high wind. Have a supply of fresh batteries for radios and flashlights. Anticipate power outages. Stay informed on battery operated radios. Ensure your vehicle has a full tank of fuel. Consider non-perishable food and beverage items for several days. Charge cell phones and other electronic items to a full charge now and as long as you have power. Have a plan that you discuss with other family members. Never use candles for illumination. Use flashlights or battery powered lanterns. Never use a generator inside your home, including garages. Carbon monoxide from the generator will kill you. Generators should be several feet away from your home. Residents are encouraged to follow the activities of the Fire/EMS and important messages and updated by following PGFDPIO on twitter, www.twitter.com/PGFDPIO. Our friends at the Federal Emergency Management Agency provide the following information. Step 1: Build A Kit / "To-Go Bag"
Get an Emergency Supply Kit, which includes items like non-perishable food, water, a battery-powered or hand-crank radio, extra flashlights and batteries. You may want to prepare a portable kit and keep it in your car in case you are told to evacuate. Prepare Your Business. Businesses have a critical role in preparedness. Putting a disaster plan in motion now will improve the likelihood that your company will survive and recover. Ready Business outlines commonsense measures business owners and managers can take to start getting ready. Plan to Protect Property. Hurricanes cause heavy rains that can cause extensive flood damage in coastal and inland areas. Everyone is at risk and should consider flood insurance protection. Flood insurance is the only way to financially protect your property or business from flood damage. To learn more about your flooding risk and how to protect yourself and your business, visit the NFIP Web site, www.floodsmart.gov or call 1-800-427-2419.
protect your windows from high winds. setting and keep its doors closed. • Ensure a supply of water for sanitary purposes such as cleaning and flushing toilets. Hurricane hazards come in many forms: lightning, tornadoes, flooding, storm surge, high winds, even landslides or mudslides can be triggered in mountainous regions. Look carefully at the safety actions associated with each type of hurricane hazard and prepare your family disaster plan accordingly. But remember this is only a guide. The first and most important thing anyone should do when facing a hurricane threat is to use common sense. • A hurricane watch means a hurricane is possible in your area. Be prepared to evacuate. Monitor local radio and television news outlets or listen to NOAA Weather Radio for the latest developments. • A hurricane warning is when a hurricane is expected in your area. If local authorities advise you to evacuate, leave immediately.